Texas quarterback-turned-wide receiver Jerrod Heard has been one of the most beloved teammates ever. Head coach Tom Herman said Heard's "positive outlook and fun-loving personality is infectious." His father, Reginald Heard, said Jerrod has never been a problem and always keeps smiling. He was the answer to everyone’s prayers. And it took just one game, really. One glorious, jaw-dropping game at Royal-Memorial Stadium when he dazzled against California one September night in 2015, and Jerrod Heard’s name would be on every Longhorns fans’ lips the next morning. 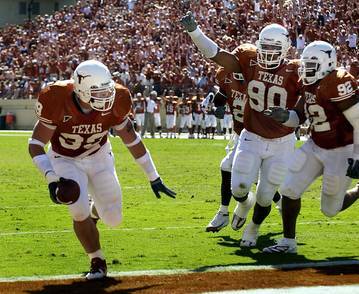 He was the dynamic quarterback Texas had been longing for since Colt McCoy walked off the Rose Bowl field in 2010. Why, Heard even broke a Vince Young record for total offense that day. And was that his finest UT moment, the top highlight in a satisfying career, albeit one that shockingly wouldn’t have as many for his mental scrapbook as everyone thought that night three years ago? Was that his best memory? Perfect answer for the perfect teammate, who wasn’t interested in casting blame when Nick Rose missed the crucial extra point in that 45-44 loss. 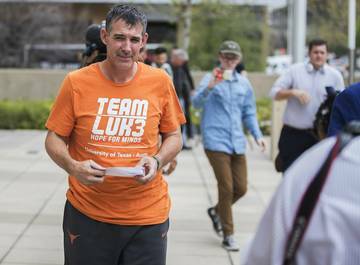 Heard became the ultimate Longhorns hero. 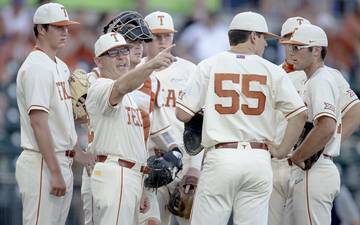 And in an instant, he was a Longhorns has-been. Well, that’s way too harsh because while he has started only three games since he was deposed as starting quarterback and switched to wide receiver, he’s been central to the turnaround that has positioned 7-3 Texas near the top of the Big 12 going into Saturday night’s game against Iowa State. Heard’s always cheerful. He’s so relentlessly positive, someone should try to market it. When he switched positions, he didn’t complain. When he sacrificed reps to work as the emergency quarterback, he was fine with it. When he was asked to play on the punt return and kick return teams, he willingly did. When the staff put him at Z or X or slot, he said OK. In some respects, maybe even most valuable. 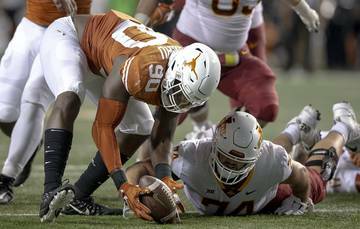 As Herman talks incessantly about building a winning culture at Texas, there’s no better example of that than Heard, the fifth-year senior who suppressed any selfish ambitions and remained upbeat, even in the worst of times. He never pouted, never even considered transferring. That’s not him. His teammates mean too much to him. “I have so much love for them,” Heard said. Sam Ehlinger may be the face of this resurgent Texas football team, but one thing is crystal clear. 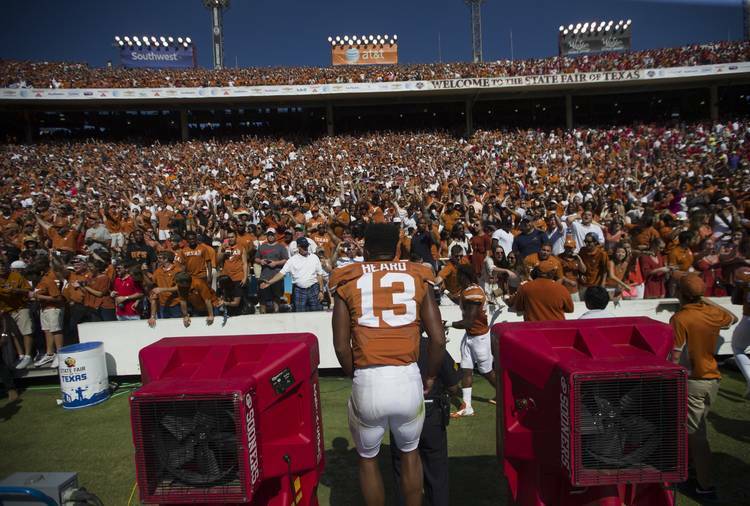 Jerrod Heard is the soul of these Longhorns. And maybe the team’s conscience. Defensive end Charles Omenihu said as much. 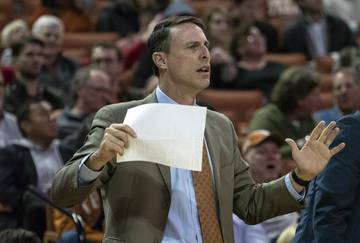 His father, Reginald Heard, a Denton probation officer, makes every single home game with his wife Tina although they give equal devotion to Jerrod’s sister, Lauren, who plays basketball at TCU. Reginal Heard is hard-pressed to remember a single occasion where Jerrod upset his parents. Why would they? He was known as Mr. Smiley at Denton Guyer, where he led the football team to a 36-8 record and back-to-back Class 4A state championships. Mack Brown hardly missed one of his games. 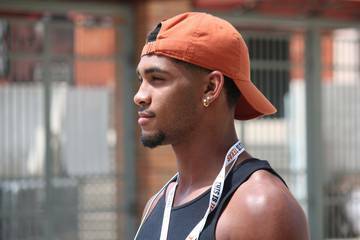 Heard was sold on Texas after his recruiting trip to Austin on the same weekend as LSU-bound Leonard Fournette, whom he tried to persuade into joining him. “That was hard,” Heard said. He arrived in Austin with much fanfare. That reached a crescendo when he turned Cal upside down with 527 total yards. He became only the second quarterback since McCoy to pass for 300 yards and run for 100 yards. He was tagged with the nickname “Juice” for the energy he brought. Ehlinger watched that Cal game. It was the weekend of his high school homecoming. And soon thereafter, he went away. But not for good. And not to sulk. Heard lost his glamorous starting position and the accompanying limelight, but he didn’t mope. Instead, he’s uplifted an entire team. “I don’t even think he has the ability to frown,” senior guard Patrick Vahe said. Heard was erratic as a quarterback. While a gifted athlete, he had trouble processing the information a quarterback has to mentally download every day in practice and then at warp speed on game days. 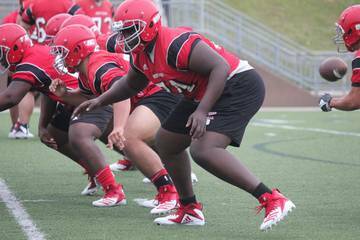 Defenses took away the damage he could do with his legs, and Charlie Strong lost faith in him. When a shoulder sprain took him out of spring drills the next year, he prayed over it like you’d expect a young man whose father sends him a Scriptures passage every morning after 8 a.m. On this day, it was text from Thessalonians — to give thanks, for it is the will of God. Jerrod replied with a thumbs-up emoji. 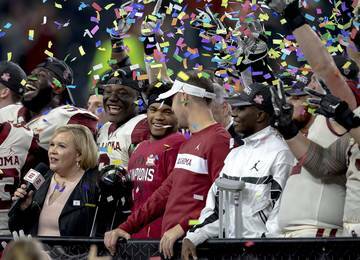 That spring, he assessed his situation, saw that he was fighting a losing battle at quarterback and asked to be moved to wide receiver. He took to the new position, and had some highlight reel catches like two touchdowns against UTEP and another against Notre Dame. What does he recall about the reception against the Irish? “I was caught at the 5,” he joked. Always a realist, but also the optimist. The smile has never left his face. 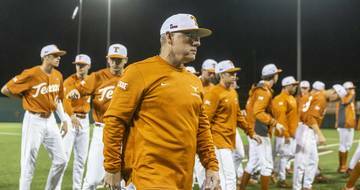 Heard may be this team’s most beloved teammate, maybe one of the most since Freddie Steinmark helped will Texas to a second national championship. Heard had no such dramatic health setback as the late Steinmark. He did have that injury that diverted him from his preferred path at quarterback, but he’s no less revered by everyone inside Moncrief. 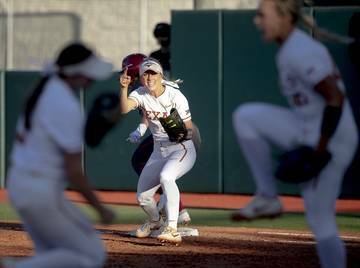 That’s why the Longhorns were so thrilled when Heard contributed in such a big way to their 41-34 win over Texas Tech last week. After catching just three passes all season long, he hauled in six in Lubbock. Ehlinger threw to him 11 times, with three catches for first downs and another for nine yards that put Cameron Dicker just in range for his 52-yard field goal. His last one came on the game-winning drive. And it’s always worked out for this positive senior, who has put team first. He’ll play his final home game Saturday and deserves a standing ovation. He’s already graduated with a degree in youth and community studies but is hopeful for an NFL chance before choosing a different career path. It won’t be in politics. Could be in ministry. Or community involvement. Whatever he chooses, he’ll be smiling. “I don’t have a lot of bad days,” Heard said. And neither do those around him.